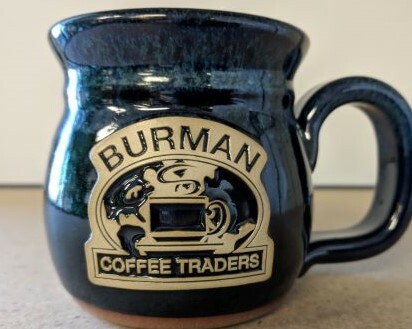 This style mug holds the traditional quantity of coffee as a standard coffee cup. Pleased with the quality. 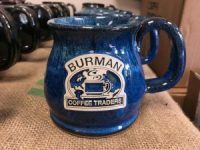 As it is handmade there are slight defects that my other Burman mug does not have. “Defects” do not affect the quality of the mug. I love the size of this cup! 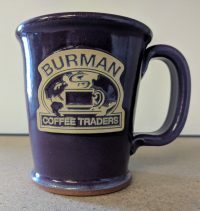 It holds my usual 8 oz cup and fits my hands perfectly. I have told everyone in my house not to touch it! It’s mine! Love the look and quality of it.